Invisalign™ is the perfect solution to all of the inconveniences of braces — from their unsightly, confidence-destroying aesthetics to the discomfort of wire frames — and can resolve issues with widely spaced or overcrowded teeth, misaligned bites (over-, under-, and cross-bites), and out-of-place teeth. Best yet, it’s completely undetectable! 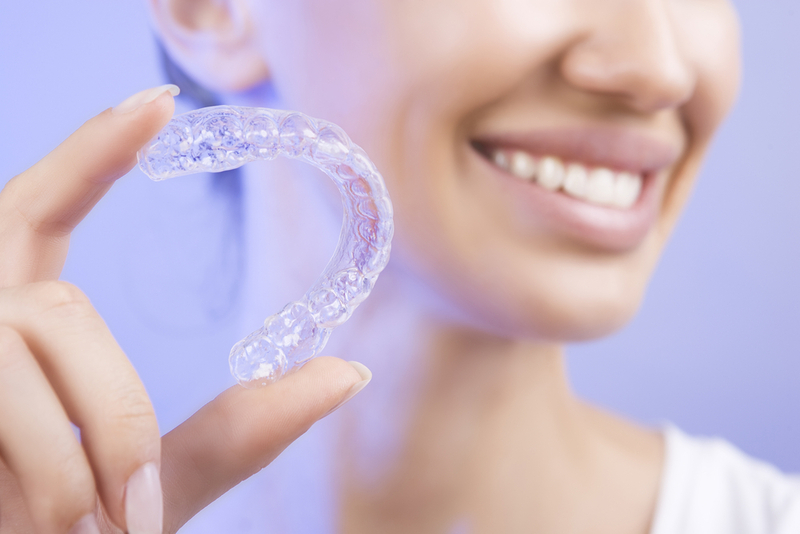 Invisalign™ is a great alternative for those who do not want to worry about the discomfort and unseemly appearance of traditional metal braces. They are custom-made clear aligners designed to straighten teeth into proper alignment. This is a comfortable and nearly invisible option for both adults and teens. Invisalign™ for teens provides teenagers with invisible braces allowing them to enjoy everyday life freely and worry-free. Under or overbites cause stress on the jaw bone and muscles, which can lead to joint issues. Gapped teeth expose the gums and leave them unprotected, which can cause periodontal disease. Crowded teeth can cause an accumulation of plaque and calculus in between teeth because of the difficulty in flossing overly crowded teeth. Step 1: First, 3D scans and images will be taken of your mouth to construct a customized treatment plan. Our state-of-the art 3D technology allows our specialists to virtually map out your treatment, step-by-step. Step 2: The scans and images are then used to fabricate customized aligners that will gradually shift your teeth. Step 3: Next, you will be given your custom aligners. 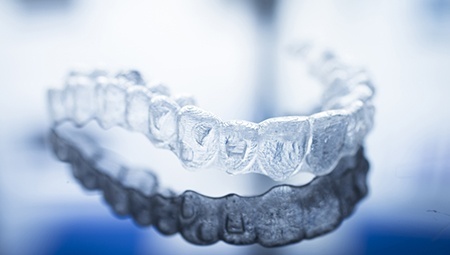 Aligners, also known as trays, are to be changed every 10-12 days. Your treatment will occur in stages. As your teeth continue to adjust, a new clear customized aligner will be refitted to your teeth. Every new aligner will gradually shift your teeth more and more towards the proper alignment. The average length of time for treatment is 12 months, however, the duration will depend on the severity of your case. Once the treatment is complete, you will be given a vivera retainers to prevent the teeth from shifting. Appearance. The number one advantage of Invisalign™, is that it is completely invisible. They are much more aesthetically pleasing compared to traditional metal braces that are very noticeable. Removable. Invisalign™ retainers are removable, therefore, they do not interfere with your daily routine. By removing the trays, you can brush your teeth, floss, and enjoy all of your favorite foods. Comfort. Unlike traditional braces, the comfort level of Invisalign™ is much better. The trays do not irritate the inside of your mouth like wires and brackets can. Treatment time. With traditional metal braces, you can expect a treatment time up to as long as 5 years. Invisalign™ offers quicker results and can only take up to 1-2 years to straighten teeth. 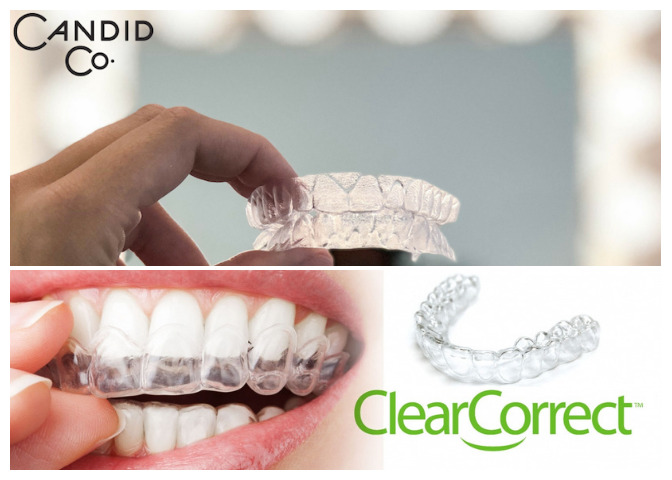 The biggest advantage Invisalign™ has over ClearCorrect and Candid Co., is that the entire Invisalign™ treatment process is overseen by a trained and experienced specialist. ClearCorrect and Candid Co. are take-home kits that are strictly done virtually. They require more responsibility and “hands-on” work, which can leave patients with uncertainty and doubt during the process. For more information about our Invisalign™ treatment, schedule your complimentary consultation by calling (212) 581-1091.